One of my college roommates just got married. They didn’t register anywhere! Obviously, it was time to get crafty. I mentioned these porcelain paint markers in one of my earlier posts and said I really wanted to use them for something. 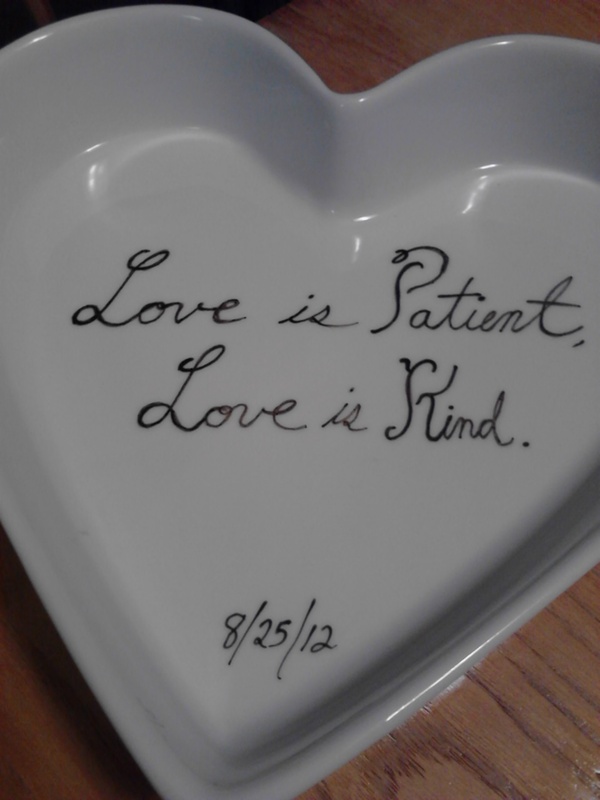 I found this adorable heart-shaped ceramic dish from Crate & Barrel and knew I had an excuse to use that pen/paint marker. Now, if you’re Catholic or have ever been to a Catholic wedding, you are familiar with Letter to the Corinthians – “Love is patient, love is kind, love does not boast,” etc. So that was my starting point. 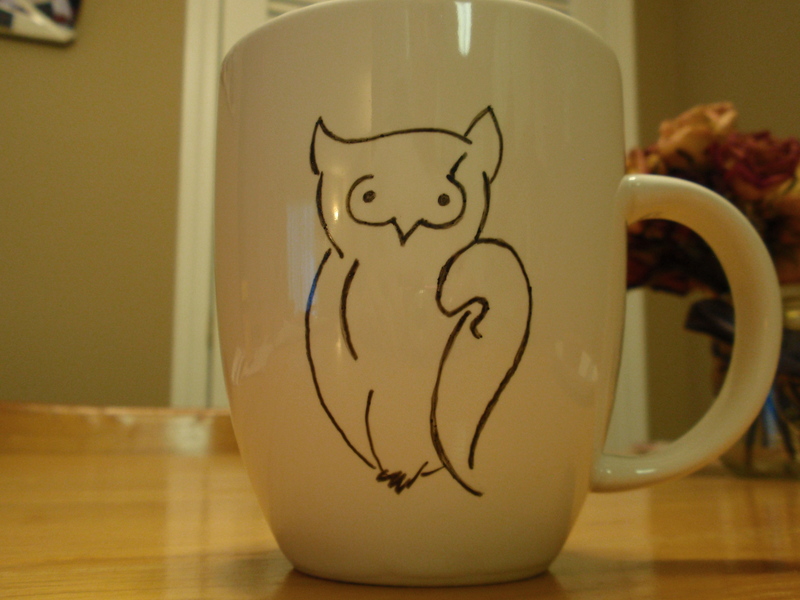 This is the point where I remembered that I really don’t like my handwriting all that much. Oops. 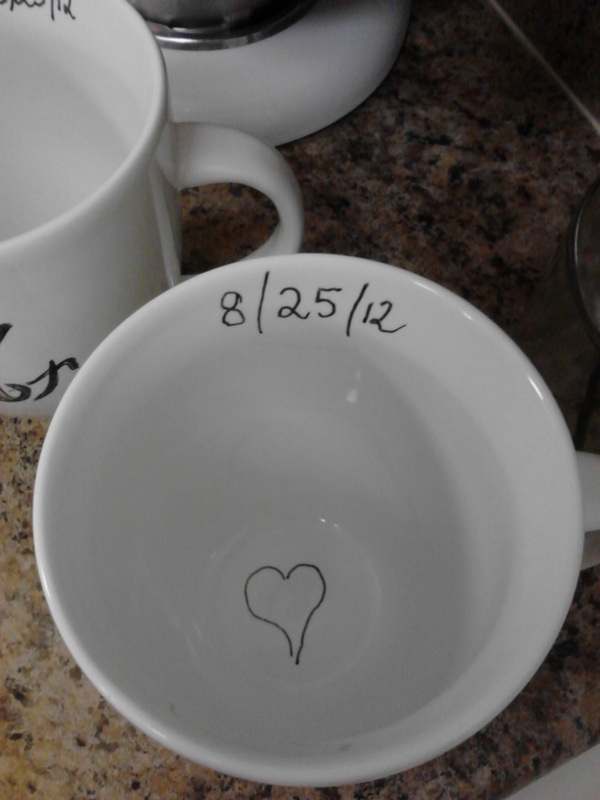 Also, the rim of the dish made it difficult to write inside. But I persevered! If you make a mistake, just wait for the paint to dry and then scrape it off with an exacto knife. It’s a pain, but it works. Keep in mind that the paint needs to dry for 24 hours before you bake the piece in the oven to heat-set. So if this is a gift for someone, allow enough to time for all the steps. 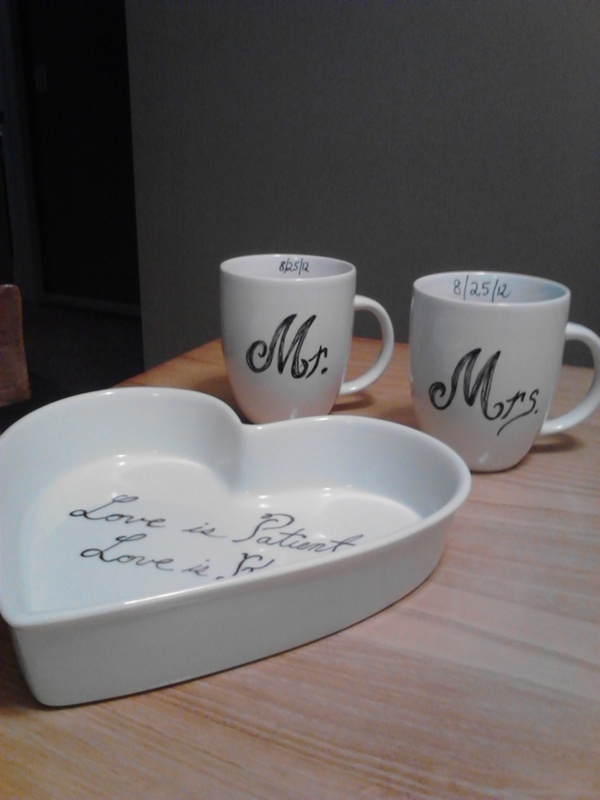 Part 2 of the present – his and hers mugs. 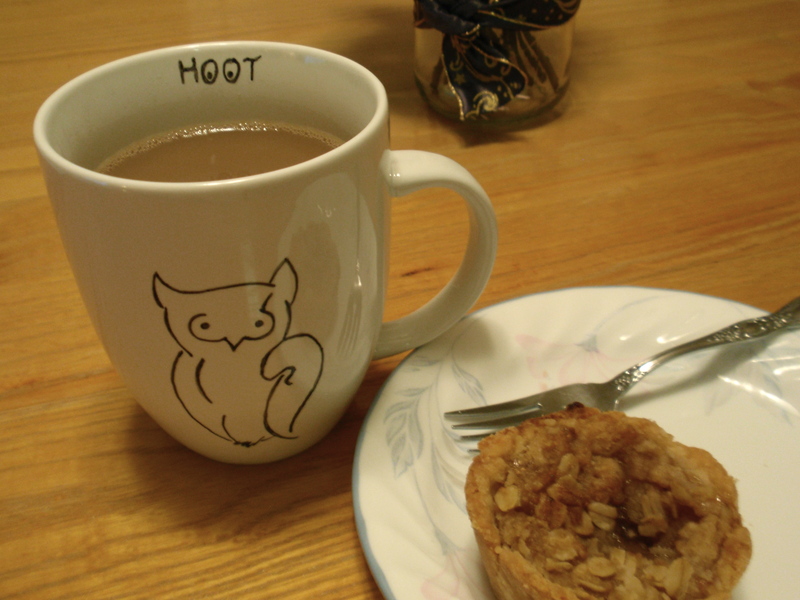 I added in some heart-shaped lemon tea cookies from Trader Joes, to eat while drinking out of the mugs, obviously! I was pretty satisfied. The black didn’t fade at all during baking. I don’t know how well they’ll hold up to washing, but I don’t expect them to be getting super heavy use, either. 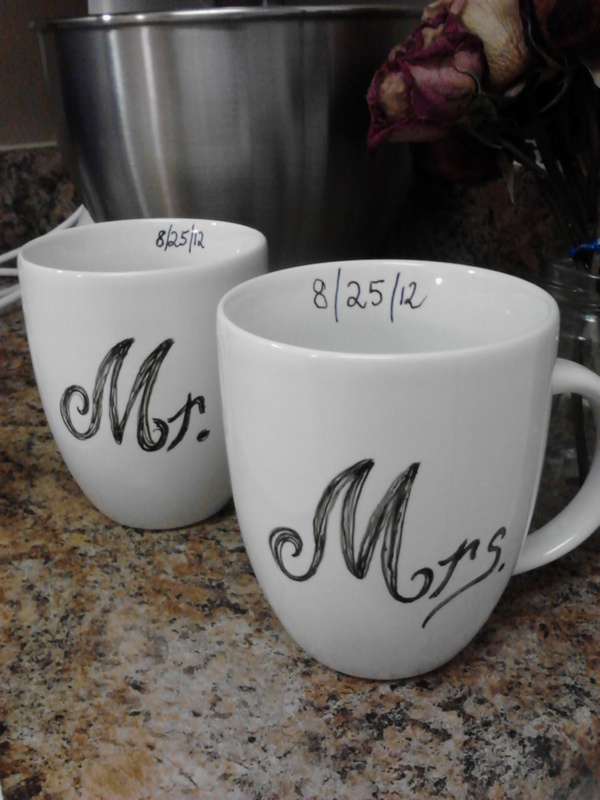 Hopefully the bride and groom like them!